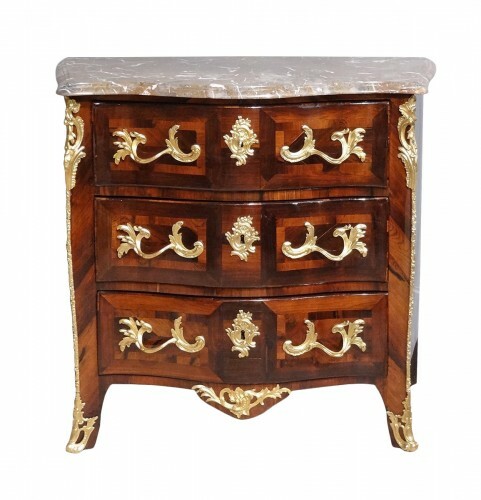 Regency period commode in walnut wood, 18th century, with stiles prominent. Handles and locks in bronzes of super quality, very nice marble Red “Languedoc” curved with ”bec de corbin”, side panels curved. 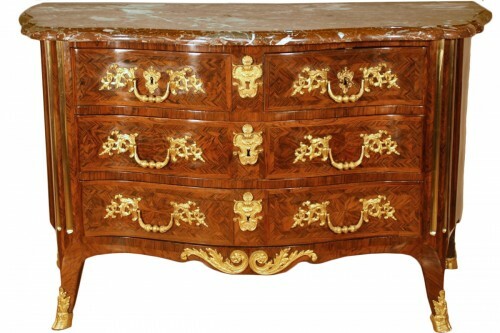 Carved drawers.